As I step into the Jogja National Museum - ready to absorb the pieces on display, to analyze cultural and aesthetic values, maybe freshen up my Instagram feed - I'm greeted by a number of giant, psychedelic-looking eyeballs resting suspiciously in still pools. A grotesquely adorable eyeball-tree looms over me on three legs. I must be in the right place. This is ART|JOG, a standout event on the the calendar for Yogyakarta, Indonesia (in local lingo, Jogja). Growing up in this town, I remember ART|JOG as an event we simply had to visit to validate our “Jogja-ness." It’s one of those things Jogjakartans brag about (besides, of course, gudeg, the Kraton, and ayam geprek). Having launched in 2008 as part of the Yogyakarta Art Festival, ART|JOG split off and became independent in 2009. 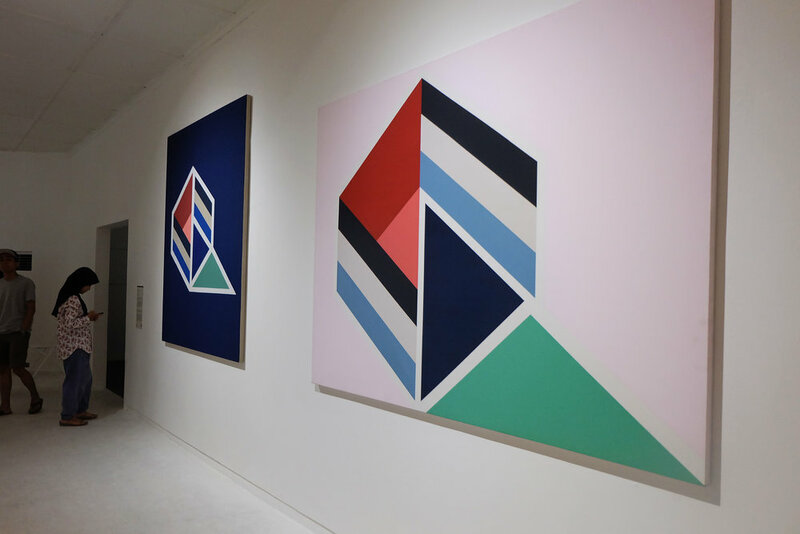 Now the festival - one of the biggest art fairs in the region - is celebrating its tenth year with the curatorial theme, “Changing Perspective: The Challenge of the Artist." Having opened on May 19th, the fair continues through June 19th and showcases exhibitions, commissioned works, a Young Artist Award, a curatorial tour, discussions with the artists, and performances exclusive to the festival. Entrance to ART|JOG; Wedhar Riyadi's "Floating Eyes Series", 2017. Yogyakarta, my mid-sized central Javan city, is becoming increasingly well-known for an abundance of artists and its cultural heritage. Jogja has produced some of the nation’s greatest artists - RJ Katamsi, Affandi, Sudjojono. The Jogja National Museum was once Akademi Seni Rupa Indonesia (ASRI), the nation’s first art college. To honor the founder and head of the school, RJ. Katamsi, ART|JOG collaborated with artist Wahyu Santoso this year on a 2.5 meter bronze statue in commemoration. Despite the city's own artistic prominence, ART|JOG by no means features exclusively Jogja-based artists. This year's festival hosts work from 73 artists from Indonesia, Singapore, Japan, United Kingdom, the United States, Australia and more. Despite having attended in previous years, I still find myself quite intimidated. Dead noon, it's stifling hot. Surprisingly, not much of a crowd. I head towards the ticket box and buy a pass for Rp50, 000 (USD 3.75) - a bit pricy for a student-heavy city known for its affordability. But they throw in a fancy drawing pen, making the steep admission totally worth it. Wedhar Riyadi's "Floating Eyes Series," 2017. Walking into the museum, I'm struck still by the stares of a dozen eyes, some nestled in pools of water, some erected as tall as trees - trees with feet. Yogyakarta-based Wedhar Riyadi was commissioned to transform the Jogja National Museum into something typical of ART|JOG: spectacular installations that immediately reel you into a staggering layout of artistic exploration. It's a rumination on this year’s curatorial theme, “Changing Perspective: The Challenge of the Artist." 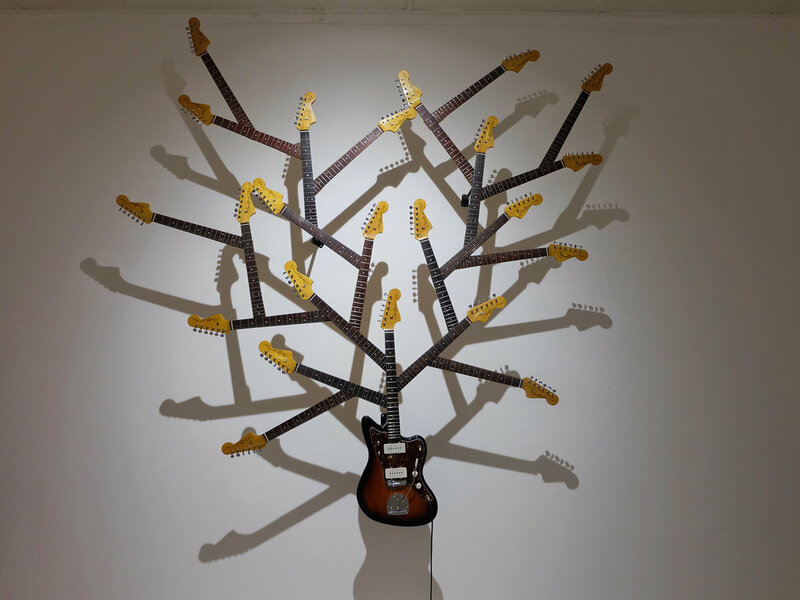 Curator Bambang "Toko" Witjaksono challenged the artists to juxtapose elements in effort to embrace dual paradoxes, through the technical aspects of the work and through artistic interpretation. 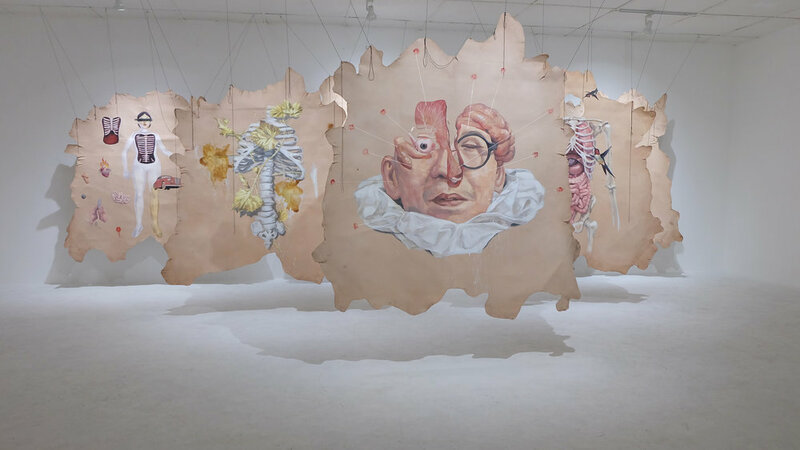 Another outstanding installation is a room of hanging skins installed by the artist Agus Suwage (as seen in the header image): six cowhides painted with images of human anatomy. As the accompanying description reads, “Skin is a representation of the outside part. Something tangible but its meaning is different than the core. Skin is only a cover. Oftentimes we get fooled for watching something based on its outer skin, whereas on the inside, beneath the skin, we would find the more complex and meaningful comprehension. A core that’s more intrinsic and always contains the mystery.” His cow skins hung to the rafters prompt me to consider the relationship between humans and animals. Humans so often consider themselves above animals, but here, cows are elevated. They don't touch the ground I walk on. And the human anatomy illustrations use the skins as hosts, rendering them dependent on the hides for existence. Is this the paradox of humans placing our value and power above nature, while blind to how dependent we are on it? People do approach the artworks in contemplation, but most of the crowds I see are there for the pictures. ART|JOG is highly “Instagrammable." I wade through pods of young millennials sizing up photos for social media, through to the souvenir shop, and finally to a resting area to meet artist and this year’s curator Bambang “Toko” Witjaksono. We chat about the chosen curatorial theme and his thoughts on an increasingly complex Yogyakarta (click through for the interview). ART|JOG10 was refreshing, enjoyable and stimulating - particularly when considering the exhibits and works within the frame of the curatorial theme. Without context or explanation, the displays might prove a little difficult to understand at first glance. In response, the festival offers layered programming for the public, like discussions with the artists and tours of the exhibits. Beyond the installations there are stage performances, silent film, open air cinema, and more. 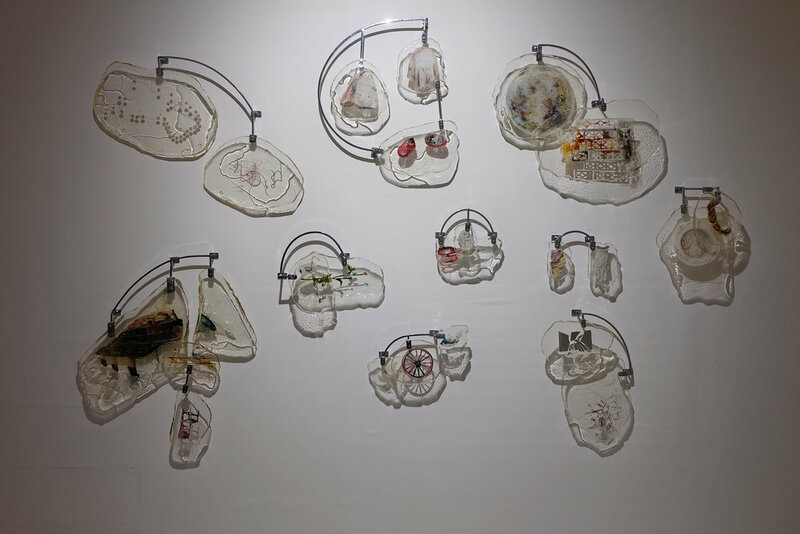 ART|JOG continues to emerge each year, a little stronger and a bit more influential, as a solid platform from which to contemplate today’s political and social issues - crossed with concepts of beauty and aesthetics. For anyone looking to challenge their own paradigms and perspectives, it's worth a visit. All photos c/o Dea Karina for Globetrotter Magazine. Header image of Agus Suwage's "Anatomy of Desire #2," 2017.